The Sri Lanka Tennis Association (SLTA) will be celebrating its momentous 100th anniversary with the hosting of the prestigious Asian Tennis Federation’s Annual General Meeting later this month. 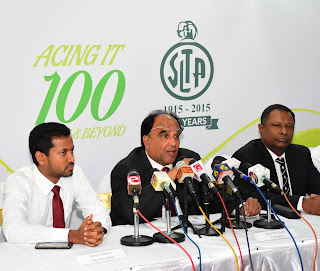 A truly landmark event for the SLTA - which is the second-oldest tennis association in Asia - the AGM marks the first time the Asian Tennis Federation has held such a distinguished event in Sri Lanka and is anticipated to signal a reinvigorated engagement between the Sri Lankan tennis community and its Asian neighbours. 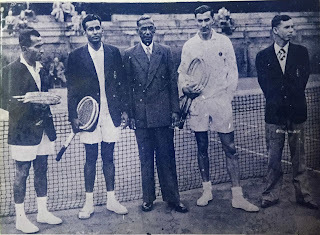 With the rising prominence of tennis, the sport is generating renewed interest among a young international audience and SLTA President Iqbal Bin Issack believes that the time is ripe to provide opportunities for more Sri Lankan youth to enter the sport. Noting that the rise in popularity of tennis is already well underway, Issack stated that the renewed interest in tennis would also generate valuable opportunities for Sri Lanka’s private sector to partner with the SLTA to gain international exposure and prestige while helping to develop tennis in Sri Lanka. Development of Sri Lanka as an international destination for tennis is also anticipated to attract a more affluent tourist demographic to the country, a move that could prove to be highly beneficial for wider national goals. In the build up to its centenary celebrations, the SLTA has been deeply engaged in promoting the development of tennis in the island having successfully conducted multiple back-to-back tournaments commencing from February this year. The first three professional-level events are expected to provide an invaluable stepping stone for local talent and were followed promptly with a further three junior level tournaments in July, finishing up with three International Tennis Federation under 18 tournaments for boys and girls that concluded in October. The tournaments succeeded in drawing significant international participation with over 120 players, parents and coaches arriving in the country this year. 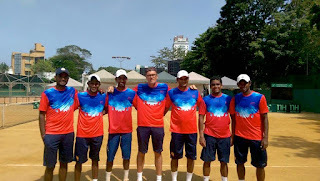 The tournaments also generated unprecedented opportunities to showcase young Sri Lankan tennis talent, providing local players with vital international exposure thereby honing their skills and forging lasting bonds of camaraderie and friendship through tennis. 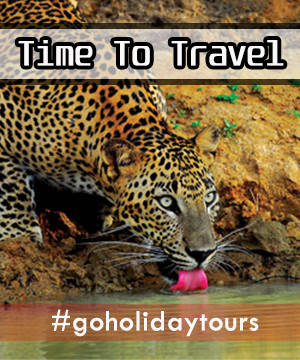 The sport of tennis was introduced to Sri Lanka in 1868 by British nationals PF Hadow, Fonblanque and CHA Ross. The SLTA has enjoyed a rich and storied history since its inception in 1915 during which time Governor Sir Robert Chalmers served as the first President of the association. The sport has always maintained an enthusiastic following in Sri Lanka with the 75th anniversary of the SLTA in 1990 even being marked with a commemorative stamp issued by the Government of the day under President Ranasinghe Premadasa.